Deferral of Capital Gains Tax (CGT) of up to 28% of the investment on gains arising in the three years prior to or year following the date of investment, so previous Capital Gains Tax liability can be reclaimed or deferred. Exemption from Capital Gains Tax on the EIS shareholding if held for a minimum of three years. Income Tax relief at 30% up to £1m in a tax year for individuals (whatever the investor’s rate of income tax). Possible combined Income Tax relief and Capital Gains Tax deferrals of up to 58p in the £1, i.e. the effective benefits of investment into an EIS can be up to 58% for investors able to use these benefits. 100% Inheritance Tax (IHT) relief on shares owned for a minimum of two years. Investors can carry back to the previous tax year, the value of any investment made up to the following 5th April. Loss relief which can be offset against Income Tax or Capital Gains Tax liabilities for any investment which makes a capital loss – relief is available at the investor’s marginal tax rate. The EIS can mitigate risk by combining the initial tax relief and the loss relief to limit the downside exposure of the amount invested. Self Invested Personal Pensions (SIPPs) can invest and effectively reduce the net cost of the investment to 60% for an individual paying income tax at the 40% higher rate of Income Tax. EIS SEIS Media Marketing will provide marketing and publicity services to distributors that have acquired the UK distribution rights to feature films and documentaries with a strong market appeal. The directors will use their extensive contacts within the media industry including distributors, agents, broadcasters and producers to source appropriate projects and implement the marketing of these films using both its experienced in-house and third party marketing resources. Shareholders benefit from the value created in the company up to a return of 120% of your gross investment before management incentives commence. The company earns fees from providing services from the offset, i.e. it is not dependent on profits made from distributing films to secure returns. 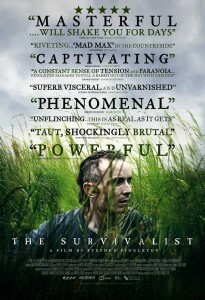 Media Marketing invested £70,642 from February 2016 in to the promotion of BAFTA nominated film The Survivalist. In just over a year it has already made a 130% return. Download more information about our EIS opportunities.